Three Way Interviews will be held from Monday 1st April to Friday 12th April 2019. Kindergarten 2019 Interviews will be held from Monday 29th October 2018 until Friday 7th December 2018. Click the PTO logo to make your booking. To end this fantastic month we have had our Rostrum Public Speaking contest school finals. All students from years 3 - 6 prepared a speech that had to go for a minimum of 2 minutes. After they presented to the class, the teachers chose their two favourite speeches to go on to the grade finals. On the 31st of May, the school finalists presented their speeches. 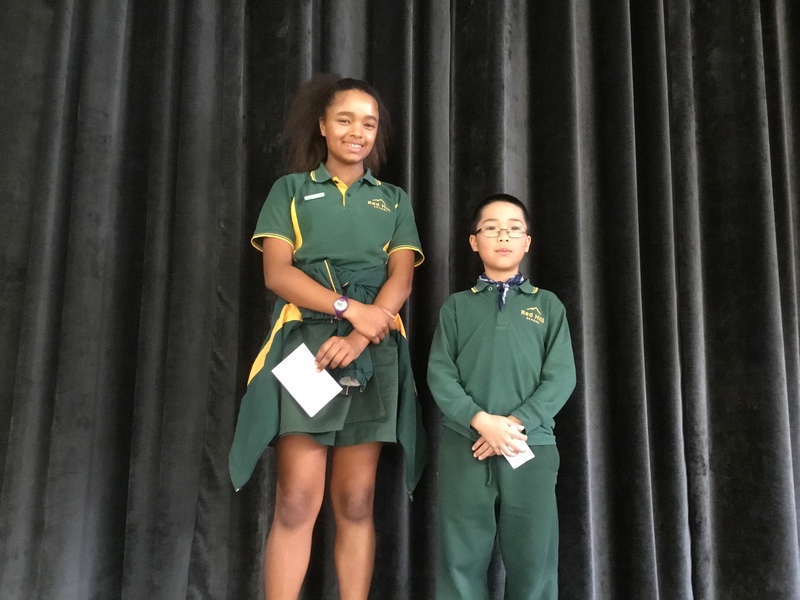 Congratulations to Wambui Taylor for winning us over with your outstanding speech and well done to Ben Quyen in year 5 for coming second. Great job to all of the people who got into the school finals and tried their hardest. A very special thanks to Mrs. Owens, Mr. Kennedy, Mr. Graetz and Mrs. La Flamme for judging the speeches. Good job to all the people that wrote and presented Rostrum speeches, it takes a risk taker to stand up and talk in front of people and everybody gave it their best. 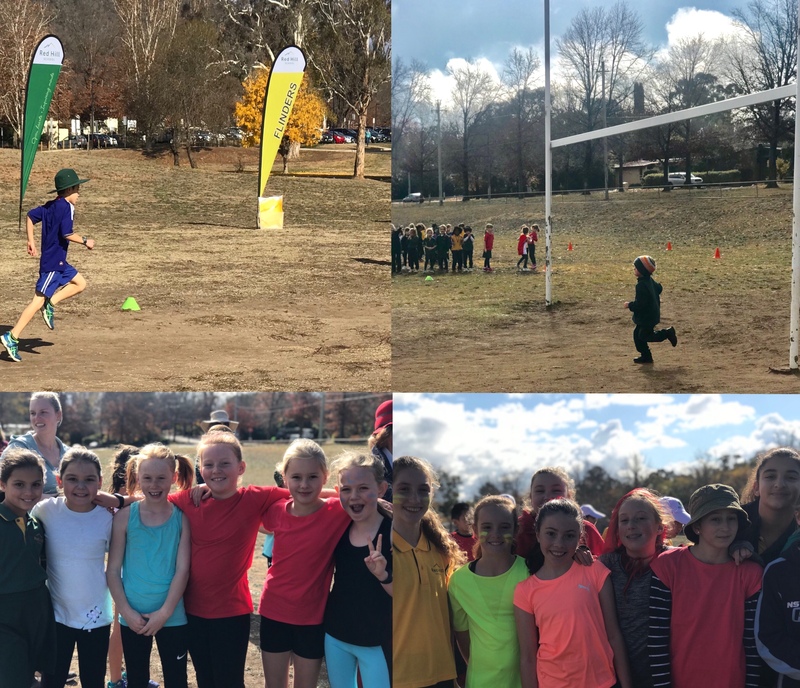 On the 30th of May, Red Hill School had their cross-country carnival! Everyone from kindy to year 6 participated and tried their very hardest. It was amazing to see what you can do when you put your mind to it. The atmosphere was one of happiness, with everyone wearing their house colours and cheering on their friends. There was great sportsmanship with people congratulating their competitors and cheering EVERYONE on. Congratulations to all the people that finished the race and tried their best. Good luck to all those going to the South Weston carnival on Monday the 4th of June, we hope you represent Red Hill well! Next year will come soon enough, so train your hardest! A special thanks to Mr. Graetz for training us so well, and organizing the event! An exercise session before school is a great way to get hearts pumping and provide a significant energy boost before engaging in the day’s cognitive challenges. Finding creative ways to combine exercise and travel to school or work is ideal, and for many of our Red Hill students, a possibility. 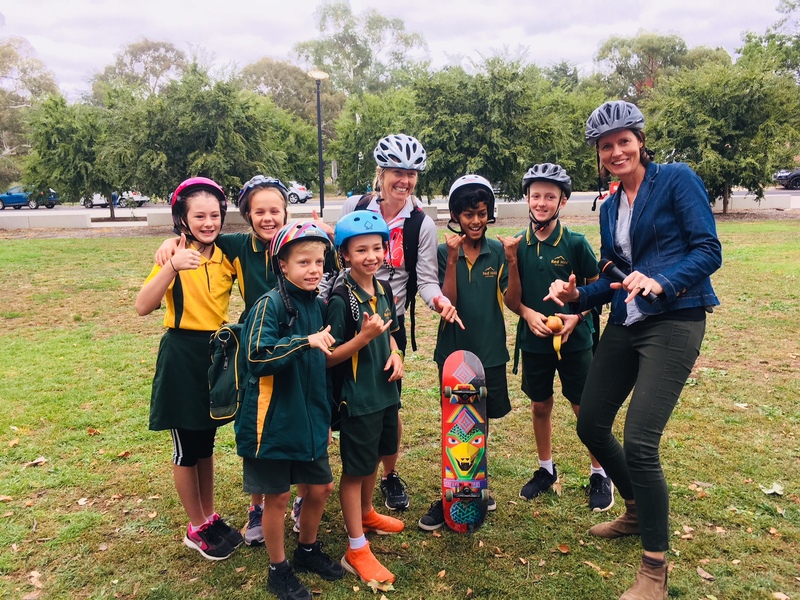 On Friday 23 March, more than one hundred Red Hill students, teachers and parents signed up for the National Ride2School Day. This is the first year that Red Hill has officially taken part in this community event and it has been pleasing to see the number of participants that joined us. Given the popularity of this day we are looking at making this a regular Week 7 event. Keep your eyes and ears open for more news on this. A very big thank you to the Fyshwick Fresh Food Markets, TREK bikes and PAF Active for supporting us this morning with an abundance of fresh fruit, bike drink holders, water bottles and a great atmosphere. 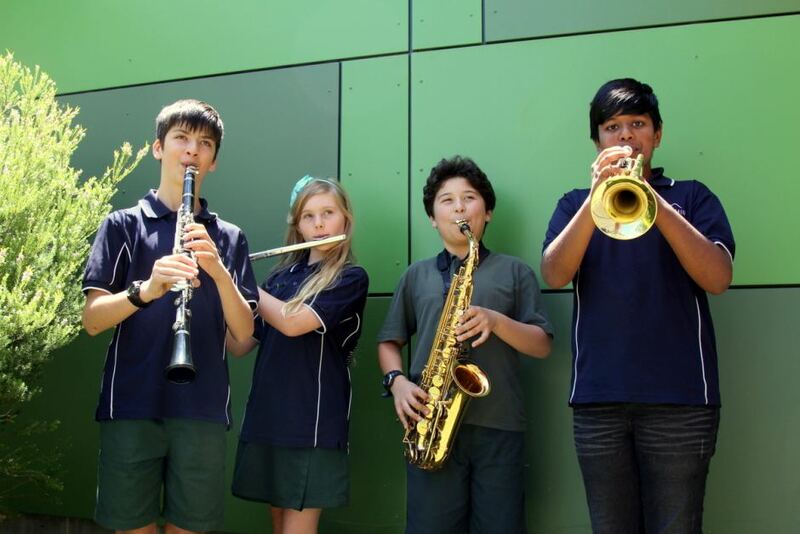 Redhill students Zachary Parnell, Clarissa Fuller, Andre Maras and Ryan Zaman are all on the ABC news website due to their particpation in 2017 ACT Bandstrav as band members in of our year 6 band. Students at Red Hill School are enjoying the all-weather shade sails recently installed on our playground, which enable outdoor play “come rain or shine”. 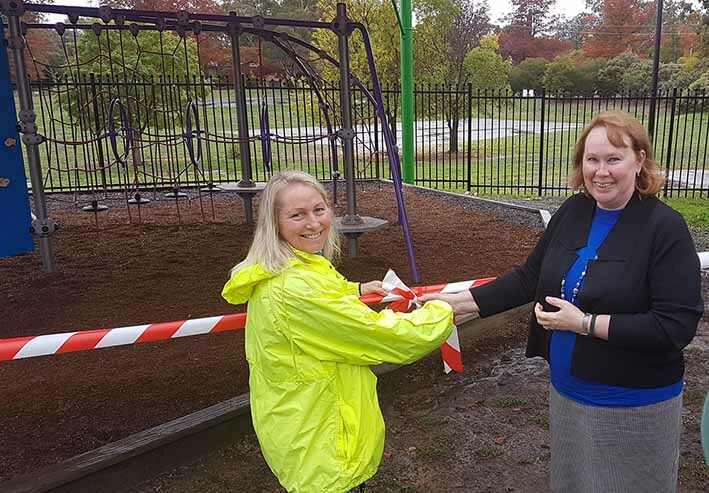 The sail project was jointly funded through a school and P&C partnership, and the new playground areas were officially opened on April 26th, 2017, by the outgoing P&C President, Carolyn Paris and Principal, Louise Owens.